​It’s non-invasive and only enters the epidermis, therefore is painless but very effective. It is a handheld skin care enhancement device with an array of pyramid-like Nano pins. Each pin on the array has a diameter smaller than a single strand of human hair, which is almost invisible to the naked eye. A standard Nano Wand carries 36 pyramid pins on a 16 mm Nano chip. It is manufactured from Mono-crystalline silicon, using advanced semiconductor fabrication technology. When these pins gently touch the skin, they form up to 200,000 invisible Nano channels within a 5 minute treatment. As a result, the skin cells re-arrange themselves to allow nutrition to pass through the skin barrier in order to help the absorption of skin care products and effectively feed the skin and stimulate collagen production. Within 15 minutes, after the treatment, the skin cells in perforated layer return to their original position. 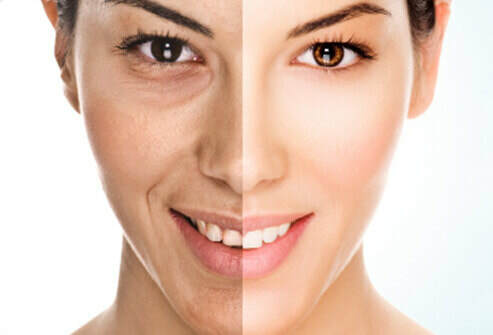 Therefore, the skin naturally adsorbs the active ingredients Galactomyces Ferment Filtrate many times more effectively through Nano channels, refining wrinkles, scarring, hyperpigmentation and other skin imperfections, improving and restoring the overall health of the skin.